We’re about to give you a one-word insight into part of Google’s secret sauce for real estate SEO (search engine optimization). 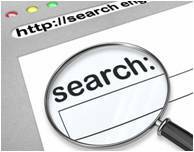 You need it to succeed on search engines and move your company up on the search results. Now, by engagement, we don’t mean go out and ask your neighbor to marry you. We mean how well people engage with your website. And there are some very simple strategies you can do to boost that engagement. So what does “engagement” mean when it comes to Google and Bing? It basically asks this question, how well do visitors interact with your website? If the content is interesting, obviously, they will stay longer. Google and Bing like that. It’s a signal to them that you offer relevant and interesting content. (Remember, after all, Google and Bing base their own performance and rankings on how well they send visitors to a site that answers their search questions). Another factor is how many pages does a person visit on your site? Again, if your site is chock full of relevant information, it’s obvious that a consumer will check out several pages as they look for answers. Then there are referrals. If you like the content on a page and share it with your friends either by email or social media site like Facebook, the search engines will see that as another signal you offer valuable and relevant information for consumers. Are you seeing a pattern here? Yes, Content is still King. Google and Bing have hundreds of other factors they use in choosing where to rank a website. – and numerous other items such as “site speed” or how fast a page loads onto a person’s screen when they come to your website. Hint: if it takes too long, not good. In fact, we can’t name all the ranking factors because, frankly, nobody knows all of them. And even if somebody claimed to know them, both Google and Bing are notorious for constantly adjusting and changing their criteria (the secret SEO sauce). But there is one thing many experts will agree is a key factor – engagement. So as a broker or agent you have your basic real estate website. That’s fine. Someday they might become customers. Then you have your genuine prospects who will spend a legitimate amount of time on your site, looking for answers. Naturally, you want more of these people. They take substantial time, energy and money to acquire. And search engines can certainly make a big difference in the number of qualified visitors you attract. One way you can “engage” all visitors is by offering them more valuable information on your website. Answer more of their questions. Sure, you will have your listings and plenty of photos and descriptions. But what else can you offer? What about in-depth, current and accurate information about various neighborhoods? That will attract every visitor’s attention. Recent home sale trends – are homes selling in this neighborhood? What are they selling for? Are home prices going up? (That might just turn a looker into a buyer or a seller quicker than they planned). How about School Information? Show visitors the schools in those neighborhoods. Then point out the number of students, student/teacher ratios, school demographics, etc. What about Crime Statistics? Everybody will check crime stats. That’s a major concern for every citizen at all levels of home ownership. Demographics of the neighborhoods? One part of town might attract lots of college graduates. Or perhaps, there is a large group of middle-aged people living over here in this neighborhood. This gives buyers a feel for who their neighbors will be. Price Index? Hmm, I wonder how prices for apparel, food, transportation in my town compare to prices elsewhere. Now, as you read down this list of important content for home buyers and sellers, do you see the benefits as far as real estate SEO? All of this relevant information keeps readers engaged longer on your website. Stops them from flipping from one page to the next. Perhaps entices them to bookmark a page or share a link with a friend. Know who’s watching all this activity? Google and Bing. They are going to like what they see. If your site meets their other criteria as well, the search engines may see this as another reason to move your website up in the rankings, especially if your competitors are lacking in this area. Every real estate pro, and frankly every businessperson knows, higher search engine rankings are golden. We’re not going to say that adding real estate data is going to improve your real estate SEO overnight. But adding any kind of relevant data is going to help. With massive data feeds from Home Junction embedded on your website, you can easily add quite a bit of relevant real estate data. All it takes is embedding some code. You don’t need to go out and find that data – Home Junction does that for you. (And think of the marketing potential of telling the public about all this valuable content you now have on your site. It’s definitely a traffic driver. Check out Trulia. They just moved all of their neighborhood data up higher on their pages). Want to engage consumers better on your website for better real estate SEO?